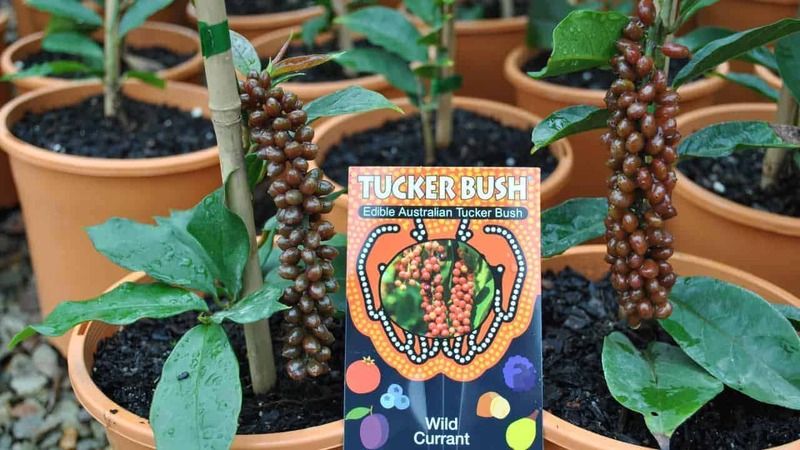 Wild Currant is a small tropical shrub native to north Queensland and New Guinea. 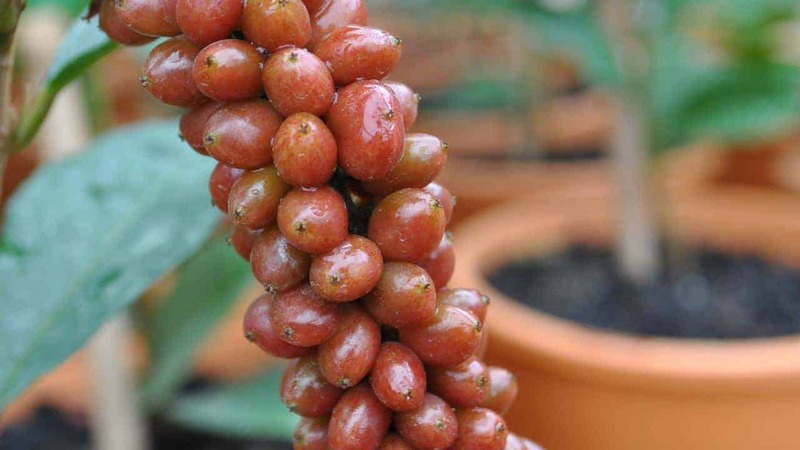 Its berries are tart and cranberry-like when young, but develop into dark, sweet fruit as they mature. Studies indicate that the phytochemicals in the fruit have natural pesticide properties, and have been proven effective against Epilachna beetles. In late Summer, Wild Currant berries grow in large, grape-like clusters and ripen unevenly — creating a spectacular ornamental display. Berries start out a pinkish white and darken to red and black as their sweet flavours develop. They can be enjoyed raw or used in jams, jellies, sour sauces, syrups, desserts and wines. Fruits may be harvested regularly as the berries ripen. They keep well in the freezer, making it easy to gradually accumulate a desired quantity for cooking. For best results, we recommend buying two Wild Currant plants (one male, one female) to increase the chances of fruiting, but anecdotal observations suggest female Wild Currants can fruit prolifically on their own. Wild Currant is a hardy plant that handles a range of soil types and will weather light frosts and winds — however its ideal growing conditions are rich, fertile soil and warm, sunny climes. This species grows small, around 2 to 3 metres in height. With its dark green, glossy leaves, it makes an attractive ornamental plant in the garden or in a pot. What’s this black stuff growing on my Wild Currant leaves? Your Wild Currant tree may have mealybugs or scale – the black stuff may be sooty mold growing on their excretions. Infested parts may be pruned off or treated with horticultural oil. Avoid over-fertilising, as both mealybugs and scale are attracted to plants fertilised with a lot of nitrogen. Why are my Wild Currant berries deformed or full of holes? You may be sharing your fruit with a variety of garden creatures birds, flying foxes, possums, rodents, moths and fruit flies. Harvest berries regularly as they ripen to keep them away from other hungry fruit-lovers. My Wild Currant is covered in ants! Do I need to be concerned?